Geir Tveitt hit a gold mine when he combined folk tunes from Hardanger with his unique sense of harmony and orchestration. 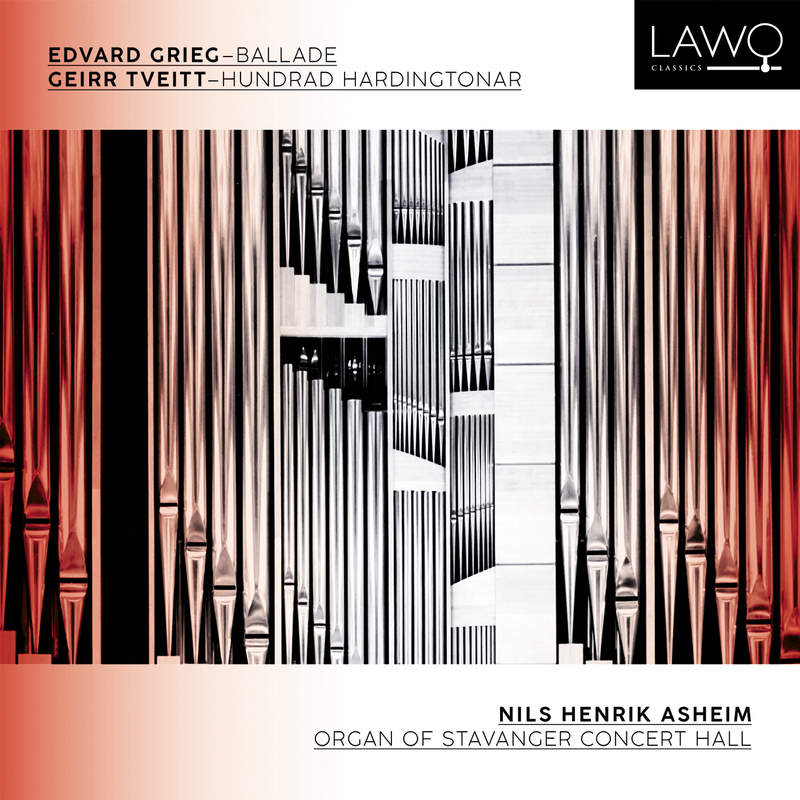 Asheim took inspiration from the lush spectrum of colors of the Hundrad Hardingtonar version for orchestra and pulled out the organ’s entire stock of creative sound combinations for the task. This selection counts 18 tunes, from the poignant “Vélkomne med Æra” to the hypnotic “Hardingøl" to the mystical “Folgafodne fortél ingjenting." Ballade, opus 24 Andante espressivo ? Poco meno andante, ma molto tranquillo ? Allegro agitato ? Adagio ? Allegro capriccioso ? Più lento ? Allegro scherzando ? Lento ? Un poco andante ? Un poco allegro e alla burla ? Hundrad Hardingtonar Å! høyre du songjen i fossaduren!